One of the most intriguing new trends in gardening over the last few years is to create a garden using dark hued or black flowers. Some of those gardens are created in a gothic style, using only the black flowers and gothic figures and accessories. 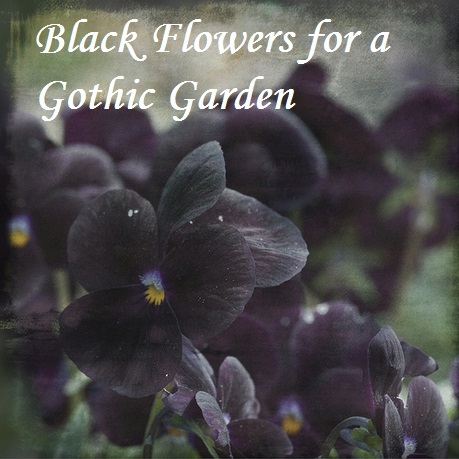 Other black flower gardens are using the black flowers as accents in a brightly hued garden. More and more black flowers are being created by botanists due to their popularity and rich coloring from hybrids of existing flowers. Some are purely black or near black, while others like the Penny Black Nemophila pictured to the left are black with other colors combined. 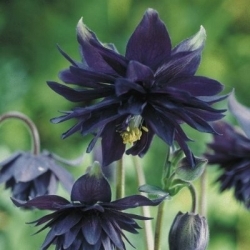 If you like columbine, the Black Barlow Columbine is a lovely addition to a gothic garden, or any garden. 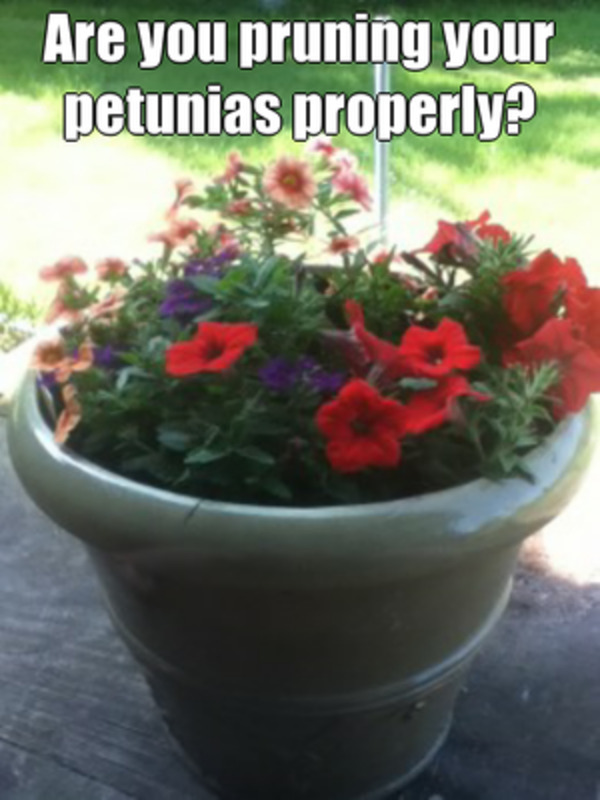 It adds depth of color to your plants. Grow Columbine plants in partial shade. They will do well in average soils and tolerate dry soil conditions. Soil should be well drained. Water only during extended droughts. To help growth, add a general purpose fertilizer once or twice a season. New Columbine plants will bloom in the second year. They look good in flowerbeds, containers, as edging, and in rock gardens. Columbine plants are one of the flowers that attract hummingbirds. Columbine will grow all season long. As a hardy perennial, they should survive light frosts. The definitive old-fashioned cottage plant, Black Nigra Hollyhocks, indeed all hollyhocks conjure beloved memories. Placed along fences, barn walls or the side of a house, their stately spires define summer for gardeners. 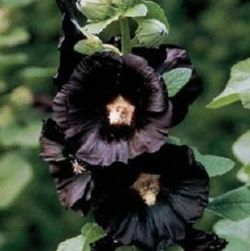 Black Nigra Hollyhocks are a dramatic addition to any garden. 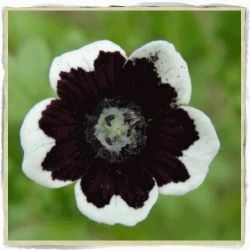 These shiny black flowers, 4 inches across and sporting a creamy center plus a hint of burgundy toward the base, are a distinctive addition to the garden. They are easy to grow in full sun and almost any well-drained soil. 100 Poppy Flower Seeds "Black Cloud" Papaver Somniferum.One Stop Poppy Shoppe® Brand. Papaver paeoniflorum. Black Cloud. Huge, tightly packed, Lacy, dark purple-almost black colored blooms. Up to 5 inches wide. Most poppies are very easy to grow. They are a favorite of gardeners in every state for rock gardens, flower beds, containers, and most anyplace that you want color. 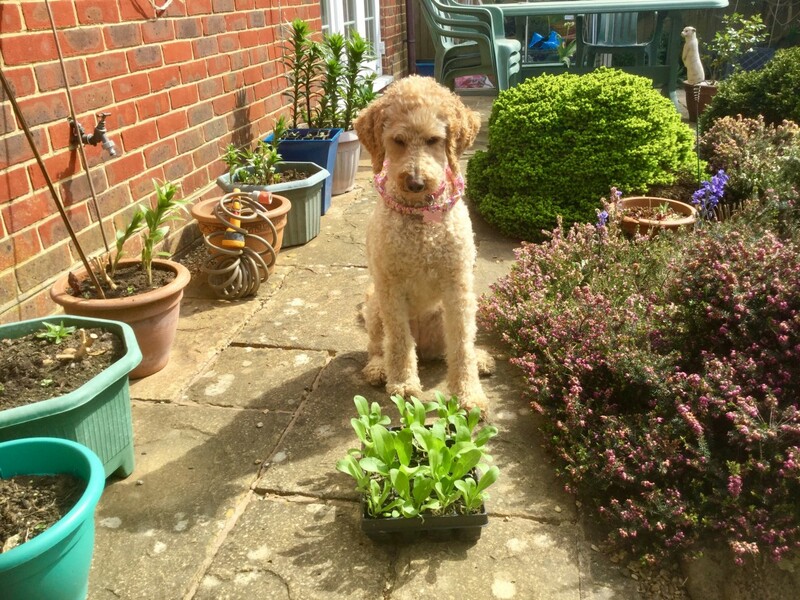 Since poppies are self-sowing, if you allow them to go to seed you may only need to plant them once. 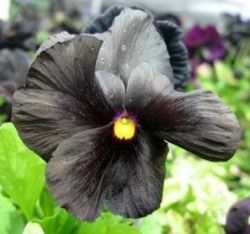 The Black Devil Pansy is a new pansy for pansy enthusiasts. They grow best in full to partial sun. They prefer cool to warm climates, and wilt in mid-summer heat. 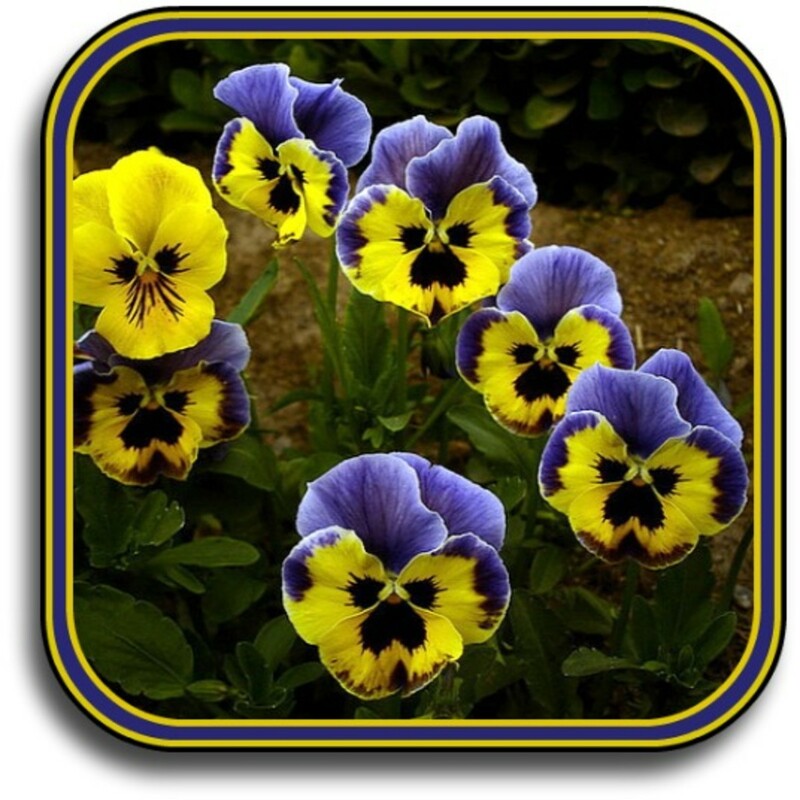 Pansies tolerate a variety of soils. But, soil should be loose and hold moisture. The plants need plenty of moisture to fuel their fast growth. Add a general purpose fertilizer at planting time. If you like smaller blooms, the Bowles Black Viola, is a wonderful addition to a gothic garden. When in bloom, the viola plant will almost overpower the color of its leaves and stems, giving the appearance of sea of midnight black flowers blowing in the breeze. Viola also has a delicate scent. The Bowles Black viola will happily self seed in cool, moist soil. 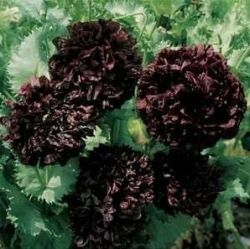 Dwarf plants produce numorous velvet black petite flowers with a distinct bright yellow eye. This flower is an annual, and flowers from June to July-September. Morning glories are always a beautiful addition to a garden, and the Black Knight Kniolas Morning Glory (Seeds By Seed Needs) is no exception. 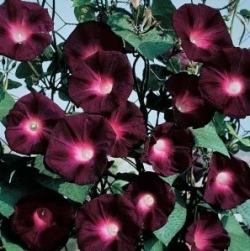 The Black Knight Kniolas is a Morning Glory with black flowers that have pinkish red centers. The flower blooms heavily and grows very fast. Black Kniolas Morning Glory plants are great for gothic gardens and grow great on fences. The Black Peony has huge, velvety double blooms of dark maroon to dark burgundy which are 4 to 5 inches across. These beautiful and unique flowers are packed with ruffled, whorled petals that glow in the summer sun. Indescribably elegant, the blooms on this peony are just incredible in a large garden planting or indoor arrangement. Blooming begins in July, and is followed by handsome seedpods that are superb ornaments in dried arrangements. Peonies are extremely easy to grow. The grow best in areas where summers are cool or dry; not a good choice for humid regions. Paul Bonine is co-owner of the wholesale nursery Xera Plants Inc. and has worked in the nursery industry in Oregon for almost two decades. His experience with real customers is helpful in choosing the black plants and flowers to outline in this book. For anyone who is unfamiliar with the black flowers, this is an excellent resource to start with. "Striking, mysterious, sinister, and strange all describe the singular appeal of plants with black (or near-black) foliage, flowers, or fruit. For some gardeners, they are curiosities that yield a special thrill. For others, they are invaluable for providing contrast with brighter elements. Whatever the source of their somber magic, these dusky denizens of the plant kingdom are irresistible to anyone drawn to nature's more unusual manifestations. Whether your taste runs to pansies, columbines, and sweet williams or to obscure orchids from the Andes, you'll find a host of intriguing choices in this beautifully illustrated, entertaining book. 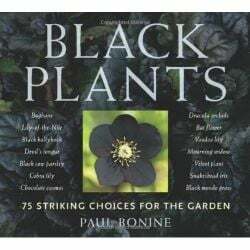 Black Plants: 75 Striking Choices for the Garden is sure to haunt your dreams." Victorians were very fond of creating garden designs with dark-hued plants and flowers. The resurgence of this trend goes back to Victorian times (similar to the Gothic style trends). Would you put black flowers in your garden? The Black Viola and Peony look beautiful. I've only just started gardening and I can't wait to add one of those to my collection. I have black hollyhocks and black lace dianthus in my front flower garden. No, but some of them are lovely. I had know idea there were so may black flowers. I didn't know there were so many black flowers. I can see how they could be a stunning accent in a garden. I picked this lens for my water a flower quest. I like the dark looking flower and rose plants the best. I have always liked black flowers and what a beauty of a collection you have here. 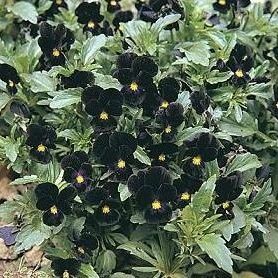 I must try growing the Black Viola! Blessings and a bit o' sunshine for your black beauties! I've long wanted to make a black garden. I have a beautiful black iris but haven't got around to doing much other than talk about it. Thankfully I have friends of action who are furnishing me with black stemmed plants, black grasses and black flowers. I have NEVER seen a black peony before this page, that was amazing! Stopping by to let you know that I have featured this page on my new The Peony Flower lens. I am also dropping off a ~Blessing~ for creating such a beautiful page. 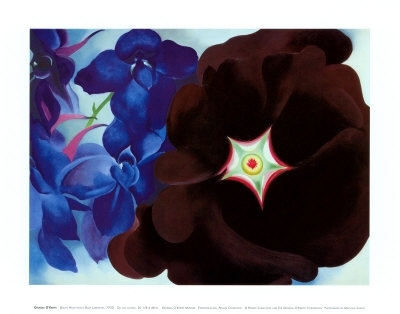 Have not heard of the all black garden but so many types of flowers have tried to get as black or dark a color, deep purple, blue or burgundy, I can see this as a logical next step. I grow orchids, see my lens Orchids of the Americas and in many of the different varieties there is a so called black orchid. I guess you just gave me the ideal for my next lens, "Black Orchids". Nice lens, thanks. Very intriguing. I didn't know there were so many black flowers! Yes! They are very different and striking. Thank you for the info. What a unique gardening idea. Goth as I am, I don't think I'd do a whole garden in black, but I would certainly consider a few of these as surprising accents. Blessed by an angel. I did't realize so many were available. I'm mostly into daylilies and they have several blacks available. My garden also contains a lot of asiatic lilies, but I haven't seen one of these available yet. I can just see it now! I want to make a garden full of black flowers just to be different. Great lens! A Midnight Garden is a dream of mine! I love the dark beauty of these plants.